The cross is located low down on the wall on the left hand side as you enter the church. 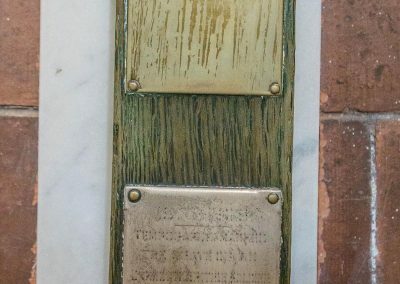 The cross is mounted on a marble tablet. 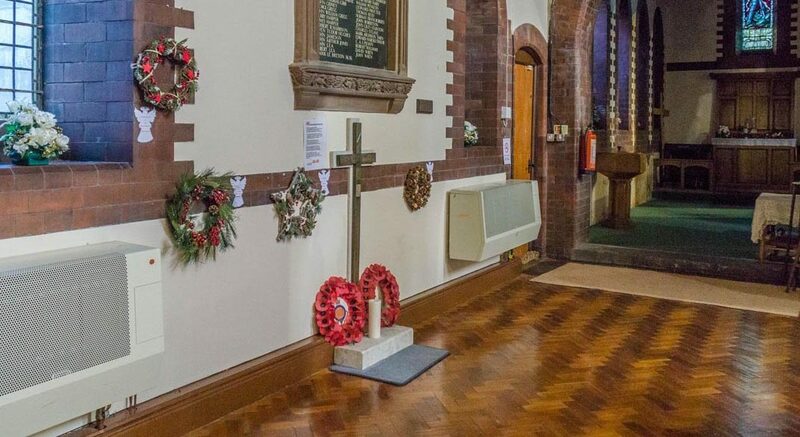 Underneath the cross there is also a square piece of marble with a candle and two poppy wreaths. 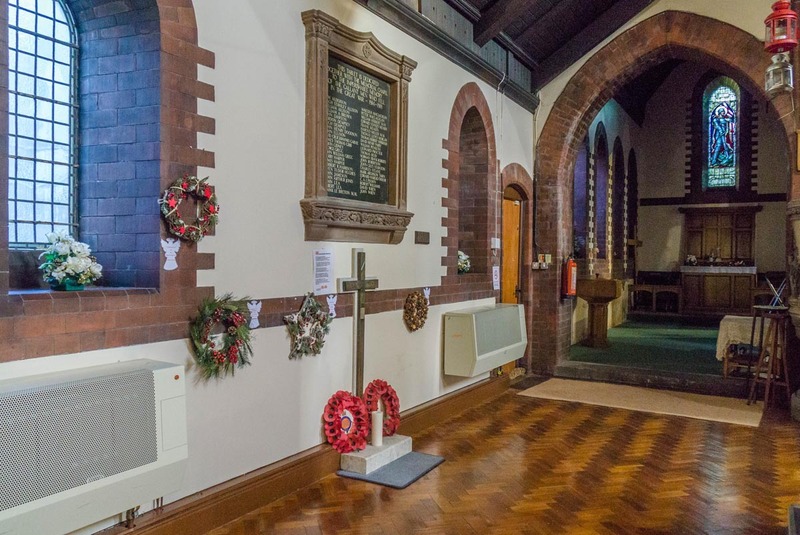 Next to the cross hangs a poem by G.W.Milward entitled ‘Your country needs you’. 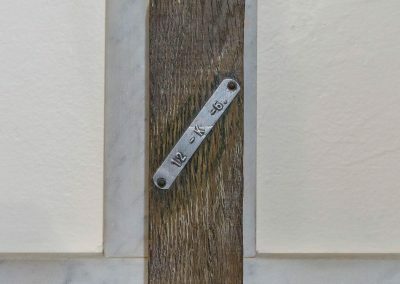 There were 2 GRU tags on the cross but one is missing. The remaining GRU tag reads ’12-K-6′. 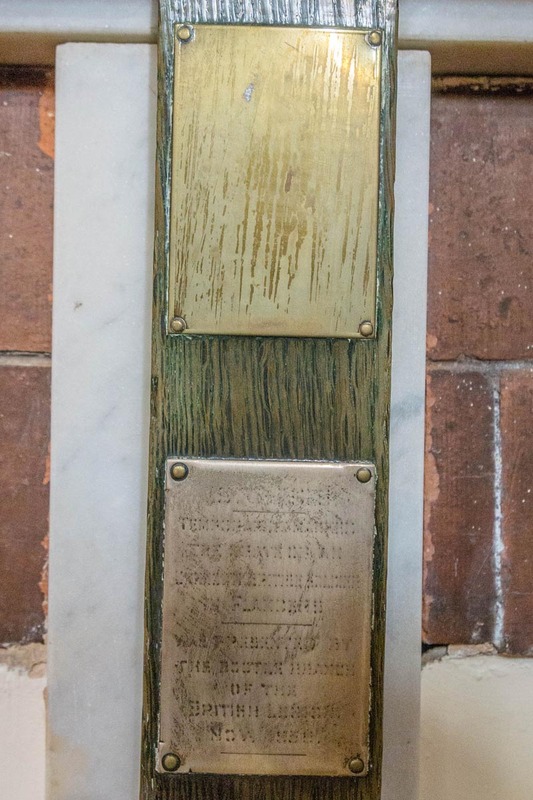 There are also 2 small brass plaques just below the cross member, the first plaque is completely illegible due to polishing, and the second is almost illegible. 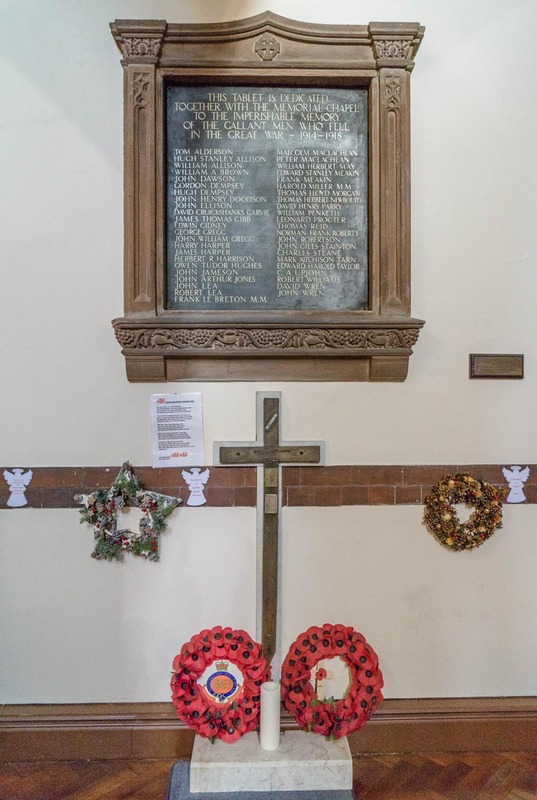 However the words ‘British Legion’ are visible on the second plaque. 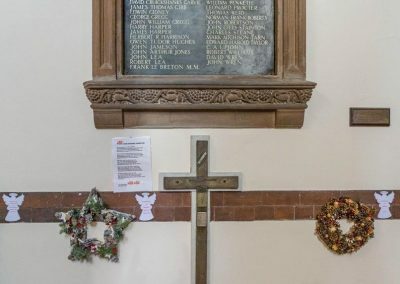 The plaque looks to be very similar in size to one attached to a cross dedicated to an unknown soldier in Christ Church, Breeze Hill, Liverpool which I have also surveyed. 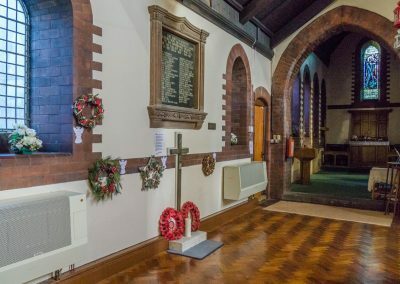 That plaque reads ‘This cross temporarily marked the grave of an unknown British soldier in Flanders was presented by the Bootle branch of the British Legion’. 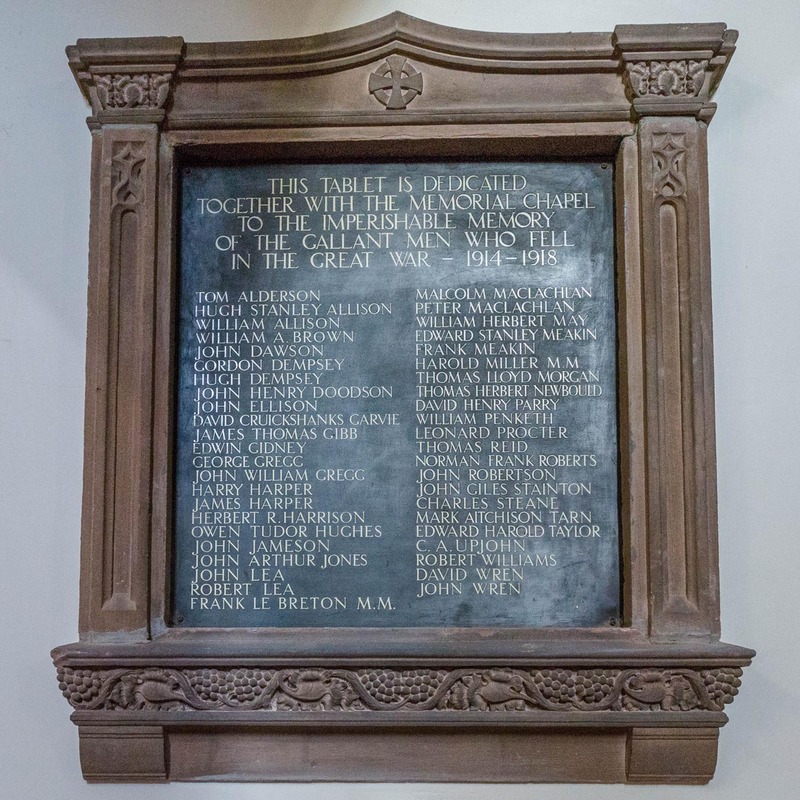 I think this plaque at St Matthews has similar wording and is also dedicated to an unknown British soldier. Text type (e.g. hand-written, GRU tags, carved): 1 GRU tag. 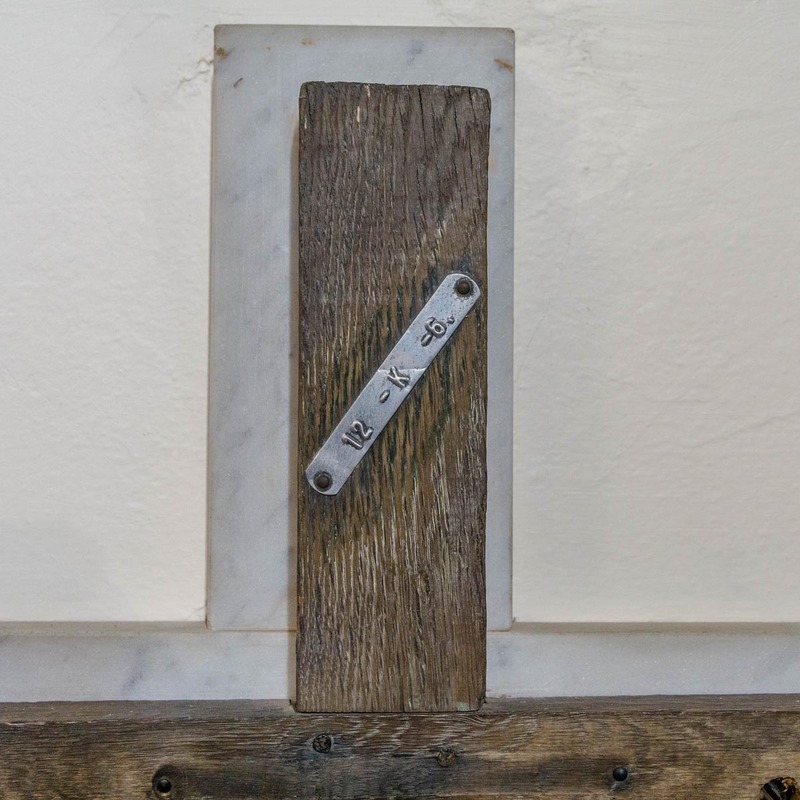 Mounting to wall: The cross is attached to a cross shaped marble tablet with screws. Evidence of use in field (earth marking, cracking, staining, shrinkage): There is minor weathering/cracking towards the bottom of the cross. Surface insertion depth (into ground if apparent): 254mm. Finish (varnish, paint, oiled, unfinished etc): Dark unfinished stained wood. 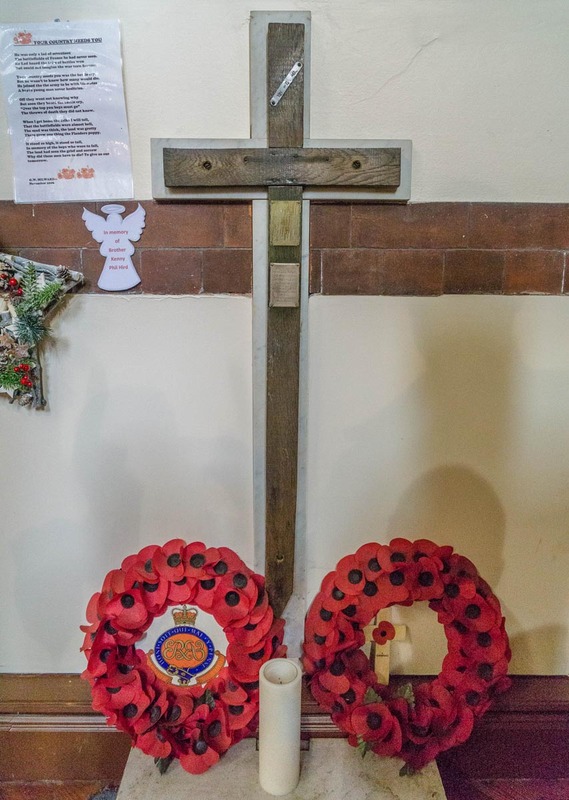 Condition (cracked, paint peeling, woodwork, damage etc): The cross looks to be in very good condition overall. 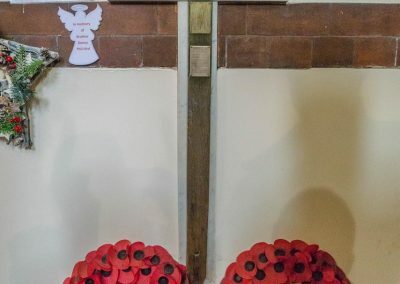 Above the cross sits a tablet mounted on a base of Kirby stone which commemorates 45 soldiers. 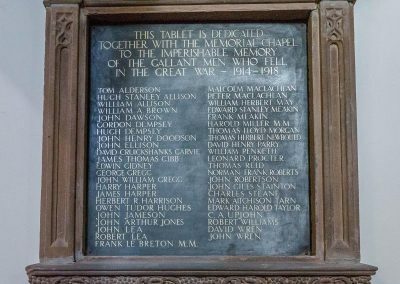 It reads ‘This tablet is dedicated together with the memorial chapel to the imperishable memory of the gallant men who fell in the Great War – 1914-1918’. 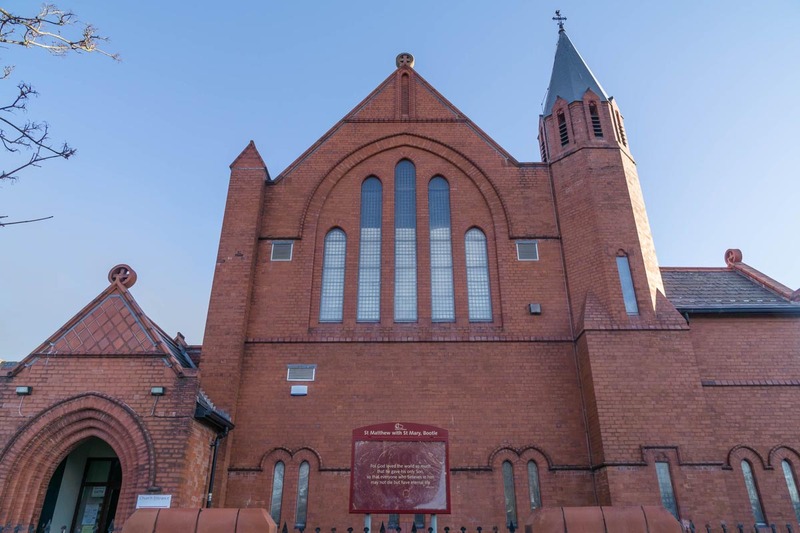 It was dedicated in May 1921.